Scan this QR with your phone and retain all our contact details. More.... If you are unsure, if you need an NIE number please email us for advice. The NIE Number (Número de Identidad de Extranjero) is a tax identification number needed to conduct any social, economic, or professional transactions within Spain. All foreigners planning on carrying out any of the above activities in Spain, will need to make an application for this number. The application for this unique NIE number can be completed either in person, or indirectly, by using a specialist company (such as NIE4SpainONLINE) to obtain this on their behalf. We offer 2 options to secure your unique NIE number. If you live outside Spain in any European or NON EU Country and know you will require a NIE number, you can apply online from your own Countryof Residence via our website. This has proven to be an extremely popular and cost effective method of applying, allowing clients to obtain this important document without incurring the costs of flights, hotel accommodation, car hire, and all associated travel costs. With this option you simply use our Application process, fill in your personal details, pay your Application Fee, and we send you a Power of Attorney to be legalised, in your country. This is a simple process, and once we have received your correctly completed documentation at our offices we return (via Express Postal Service) your unique NIE document. If you are planning a trip to Spain in the near future then you can pre-book your appointment, pay the application fee, complete the necessary paperwork online now, and then upon arrival in Spain meet with one of representatives to complete the process (usually within 2 hours). New Service - Amazing new facility! 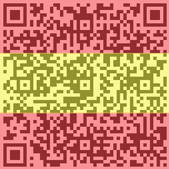 If you are anywhere in mainland Spain we can obtain your NIE number. Whether you are in one of the Costas, Costa de Almeria, Costa del Azahar, Costa Blanca, Costa Brava, Costa Calida, Costa Dorada, Costa Tropical, Costa de la Luz, Costa de Marisco, Costa Vasca, Costa Del Sol, Costa Verde or Costa Cantabria, you can apply. Likewise one of the Regions, Andalucia, Aragon, Asturias, Balearic Islands, Basque Country, Canary Islands, Cantabria, Castilla La Mancha, Castilla y Leon, Catalonia, Extremadura, Galicia, La Rioja, Madrid, Murcia, Navara, or Valencia. Just click on the following link and complete your details and tell us where you are located in Spain and we can arrange for the completion of your NIE by a Power of Attorney. As part of service we are able to offer the facility to track the progress of your Application, this service is currently unique to NIE4SpainONLINE.com. Secure Storage Option - We are constantly trying to help and improve the service for our clients therefore we have added the facility to have your NIE number held in secure data storage in case of loss. A unique feature from NIE4Spainonline.com. Why not also let us Open your Spanish Bank Account! Add this to your Application, just follow the process and you will be given anoption. This is really helpful if you are buying a property and need to transfer the funds to the new bank account prior to legal Completion. Applications for Spanish NIE numbers can be made from anyone residing in an European Union (EU) Country, listed as follows Austria, Belgium,Bulgaria, Croatia, Czech Republic, Cyprus, Denmark, Estonia, France, Finland, Germany, Greece, Hungary, Ireland, Italy, Lithuania, Latvia, Luxembourg, Malta, Netherlands, Poland, Portugal, Rumania, Spain (Spanish Citizens obviously dont need to apply), Sweden, Slovakia, Slovenia, United Kingdom and with immediate effect all NON EU citizens can apply for their NIE number. If your business outside Spain wants to acquire a business the directors of the acquiring business will each need NIE numbers whilst the business needs a CIF. If you have started the process to start a Spanish business but do not have NIE numbers, we will complete Directors NIE's and register them with the tax authorities. If you plan to be a Sole Trader in Spain we register your business activity with the tax authorities and arrange your Social Security Affiliation and payments. If you plan to establish a Partnership in Spain we prepare your terms of engagement, register your business activity with the tax authorities and arrange your Social Security Affiliation and payments. Anyone wishing to gain employment in Spain must not only have an NIE number & tax office registration but also a Social Security affiliation number. Would you like to give someone a Power of Attorney "POA" to act on your behalf? We can arrange this simple and straightforward process, quickly, efficiently and most of all very cheaply!! Please email [email protected] for more information on any of our services. Find our meeting place for once you booked your appointment, alternatively we can pick you up from any of the following hotels in Motril. *Only clients applying In person via our Motril base can use this service, however in special circumstances this can be added to a Power of Attorney.